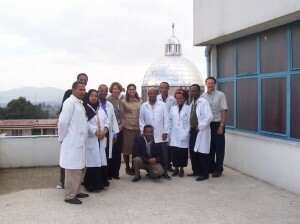 Dr. Clare Pain and Dr. Paula Ravitz, Associate Professors in the Department of Psychiatry, together with their Ethiopian colleagues, were awarded $1 million CAD towards their continued efforts to increase capacity and mental health care in Ethiopia through the Biaber Project (2012-2015). The project seeks to develop a tiered IPT train the trainer model and scale up availability of IPT treatment within the primary care system in Ethiopia. Dr. Clare Pain is also the lead on the well-known Toronto Addis Ababa Psychiatry Project (TAAPP), which was established in 2003 through a collaboration between the Departments of Psychiatry at the University of Toronto, and Addis Ababa University, and which has been extremely successful in building psychiatric capacity in Ethiopia over the past 9 years. Over 40 other UTPsychiatry faculty are involved in the project. Dr. Kwame McKenzie is a co-investigator on a project to improve mental health education and child screening in Kenya, which also received $1 million CAD in funding from Grand Challenges Canada in 2012. Dr. Arun Ravindran, Dr. John Trainor and Dr. Akwatu Khenti led a major capacity-building project in Sri Lanka in the aftermath of the 2004 tsunami, with focus on governance, building mental health capacity in primary care, combating gender-based violence and school-based mental health programs. This project received $1.7 million CAD in funding from the Canadian International Development Agency and ran from 2006-2009. 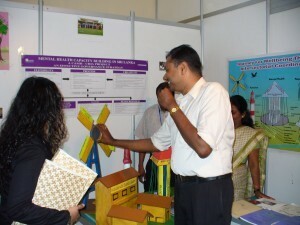 After project ended, Dr. Ravindran joined a group of international clinicians that worked with the Sri Lanka College of Psychiatrists (SLCP) and the Ministry of Health of Sri Lanka to establish a one-year diploma in psychiatry for primary care physicians, and also assisted with curriculum development and training. Over 50 family physicians, often working in underserviced areas, have become mental health specialists. In 2010, Dr. Ravindran facilitated the opening of 2 mental health centres in disaster-affected regions of Sri Lanka (via solicited donations) and joined the SLCP in training front-line workers in mental health and addictions issues. In collaboration with colleagues from Sri Lanka, Canada and the UK, a third mental health facility was opened in early 2012 in the region most affected by the civil conflict. Dr. John Trainor is also part of an ongoing collaboration with Mental Health Initiative and the Global Health Advisory Boards of the Open Societies Foundation. Dr. James Deustch is participating in a project on the effect of war and occupation on Palestinian children. Dr. Tim Gofine participated in the development of a dual diagnosis program at Israel’s largest developmental disabilities centre over a period of 8 years (2004-2012). The project, Beit Issie, received funding from numerous sources and has provided leadership in advocating for the needs of the dual diagnosis population. Dr. Gofine’s participation on a panel at the Israeli Ministry of Mental Health in 2004 was his first indication of their commitment to building a program despite the financial and philosophical barriers that existed. Now that it is established, the program attempts to handle the most difficult cases referred by primary and secondary care providers and sees approximately 30 cases annually. Dr. Mary Seeman is involved in a project to develop parenting skills in patients with mental disorders (non-funded). Dr. Mark Halman is a consultant to the WHO on the IMAI project aimed at building mental health capacity in primary care, with focus on impact of high HIV prevalence on mental health. Dr. Peter Collins is a consultant to the Investigative Psychology Unit of the South African Police Service, and was also involved last year in training US Army and Airforce mental health units at US bases in Germany. Dr. Arun Ravindran, with $250,000 in seed funding from Grand Challenges Canada, and in partnership with collaborators at the National Autonomous University of Nicaragua in Leon, has implemented a culturally-adapted mental health literacy program into the school curriculum, using a randomized controlled trial design. The program promotes strategies to combat the high rates of mental illness, addictions and distress youth commonly experience in Nicaragua, with a focus on increasing mental health literacy, reducing stigma, and improving coping skills and help-seeking behaviour. A website (http://cidscamhjovenes.unanleon.edu.ni/) was developed to support and enhance the curriculum, and to provide resources directly to students. Students are also using their new knowledge to develop mental health apps, which may have future commercial potential. He established a collaborative clinician-scientist training program in 2012 with two leading universities in Sri Lanka to develop local mental health research expertise, with students completing research-focused graduate degrees under the joint supervision of Sri Lankan and Canadian mentors. Five trainees have already been recruited and projects are under development. Discussions are underway for a similar collaboration with academic institutions in Malaysia. He is also coordinating joint funding proposals to develop and implement youth mental health education programs with universities in Bangladesh and Nicaragua as well as a women’s health initiative with academic and community partners in Sri Lanka. Dr. Ravindran also organized seminars in mental health research in Sri Lanka in February 2012, with sponsorship by the Universities of Colombo and Kelaniya in Sri Lanka, the National Institute of Mental Health of Sri Lanka, and King Saud University of Saudi Arabia. There were over 100 health professional attendees from Sri Lanka, Saudi Arabia and Kuwait. The teaching faculty were experts in their fields from the Department of Psychiatry and the Dalla Lana School of Public Health, and included Drs. Trevor Young, Sandy Simpson, Robert Mann, Bruna Brands, and Jeff Daskalakis. The significant positive response and requests for more training seminars have led to plans for further training sessions in the Middle East and South Asia in 2013. He also presents workshops and rounds regularly at universities in India, Sri Lanka, Malaysia, Thailand, Saudi Arabia and Kuwait. He also serves as Senior Advisor to the Psychological Health Research & Applications Chair (PHRAC) in the Department of Psychiatry at King Saud University (KSU), with the task of advising and guiding their developing research program and is also actively involved in faculty and program development at universities in Saudi Arabia and Kuwait. Similarly, Dr. Ebenezer Okyere has been involved in at the University of Ghana Medical School and the School of Medical Sciences University of Cape Coast teaching clinical psychiatry to medical students every year and has formal appointments as a Lecturer in the Departments of Psychiatry of those two schools. Dr. Rob van Reekum is collaborating with the Chiang Mai University (CMU) in China to develop a visiting professorship role that will assist CMU in developing research expertise. Dr. Nazilla Khanlou is the Founder and Lead of the International Network for Youth Integration (non-funded), which focuses on knowledge exchange and collaboration between clinicians working in the field of child and youth mental health. It organizes visiting scholar/post-doctoral exchanges, and collaboration on workshops, presentations, and research proposals. Dr. Michael Seto is involved in a project on causal risk factors for sexual violence, where he tested the causal importance of suggested parental, perinatal, neurologic, psychiatric and cognitive risk factors for sexually violent behaviour. By linking multiple longitudinal, national registries, he compared all 21,000 convicted male sexual offenders in Sweden 1973-2009 with matched, non-sexually violent offenders and general population controls. The study received 100,000 Euros in funding from the Swedish Research Council. Furthermore, Dr. Seto authored a paper on online law enforcement investigations of child abuse, which received over $750,000 USD in funding from the US Department of Justice. Dr. Katharina Manassis is the PI for the Hospital for Sick Children (SickKids) on a 3-year collaboration with King’s College in Ireland on the genetics of selective mutism. The project received $10,000 CAD in start-up funds from the Psychiatry Endowment Fund at SickKids. She is also collaborating with a Norwegian research group on correlations between childhood anxiety disorders, neurodevelopmental disorders/delays and personality. It received $5 million Kroner from the Norwegian Research Council. More recently, she has collaborated with Dr. Skirbekk and Dr. Kristensen on a paper from the study “Language impairment and its relationship with social skills in children with anxiety disorders”, currently in submission with results showing that approximately 50% of children with anxiety disorders, 60 % of children with ADHD, and 80% of children with comorbid anxiety disorder and ADHD exhibit CCC-2 main scores below the Norwegian cut-off, indicating clinically significant communication problems. Dr. Michael Kral is a co-investigator on a project on social change and human development in indigenous cultures in circumpolar regions, which received over $1 million USD in funding from the National Science Foundation. Dr. Yvonne Bergmans is a collaborator on a project comparing treatment as usual (TAU) to group psychotherapy as a prevention strategy for patients with recurrent suicide attempts, which received $278,000 Euros in funding from the Health Research Board of Ireland. The study sought to examine the effectiveness of a group intervention for people with recurrent suicide attempts.